The FC-5440 is a his and her rocker switch. This will allow 2 switch locations on a headboard to control light fixture. The light fixture can be controlled from either switch location. The unit is heavy duty with grounded connections for commercial or residential environment. The power cord is 10 feet and grounded with 45 degree offset right angle plug. The cord between the 2 switches is 12 feet to allow for use on the largest bed possible. 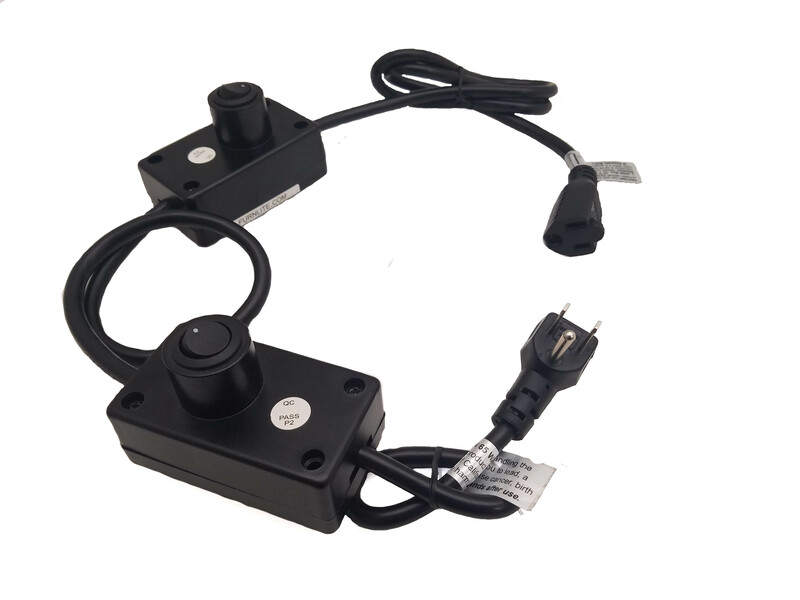 The exit cord for light fixtures is a 30" grounded connection with 2.5 amp rating. The 2 rocker switches are round with a housing around them to allow a clean look. The diameter of the round housing is 1.1875 inches, designed to go through a 3/4" panel. We also have a grommet to decorate the cutout hole if desired (FC-805).